A single moment is all it takes. For 23-year-old Gold Coast nurse Samantha Vitiello, this moment came on a rainy winter's night several years ago. She had just finished hosting a barbecue for the homeless in Ipswich when a young homeless couple – not much older than herself at the time – asked her for a lift home, to which she kindly obliged. They directed her to the back of the local supermarket where there stood an upturned water tank. This was their home, nothing more, and they had only the clothes on their back. This moment became the catalyst for Samantha to begin conducting what she calls "blanket runs", and she needs your help. 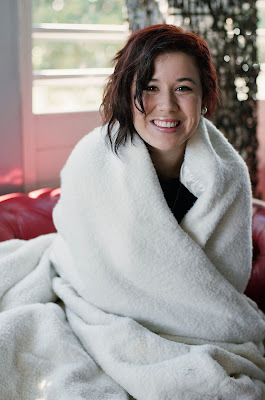 Samantha began conducting blanket runs in the Ipswich & Brisbane region with the help of a friend not long after this heartbreaking encounter, handing out blankets to the homeless wherever they could find them. Now, having moved to the Gold Coast, Samantha is looking to start conducting blanket runs in her new local community with the help of a man named Chris who used to sleep on the streets. In the following video interview, Samantha tells us about her passion for seeing the homeless stay safe and warm, the journey that led to the blanket runs and her coming to faith in God, and several stories of her encounters with homeless people and what they've taught her. What she has to share is poignant and inspiring, and her heart and love for the homeless is infectious. I hope that you will take the time to listen to Samantha's stories and, if you can, donate some old blankets to a good cause. Or you can drop them off at Lifehouse Christian Church, 44 Brisbane Road, Labrador. Alternatively, you can contact Samantha at samanthavitiello@gmail.com with any enquiries, encouragement or to say "Hey, I want to come and hand out blankets with you!". Thank you for sharing this story. It's great to read about people who are really being the hands and feet of God.